The former partner of a man whose body was found in a farmyard tank two years after he disappeared has told how she was invited to go on a trip with him and his partner, Mary Lowry, on the weekend before he went missing. Mary Glasheen, who remained friends with Bobby Ryan after their relationship, told the Central Criminal Court that he and Ms Lowry were going to Bundoran, Co Donegal, to see the popular Irish showband The Indians, but she decided not to go with them. Patrick Quirke (50), of Breanshamore, Co Tipperary, has pleaded not guilty to the murder of Bobby Ryan (52), a DJ known as Mr Moonlight, between June 3, 2011 and April 2013. 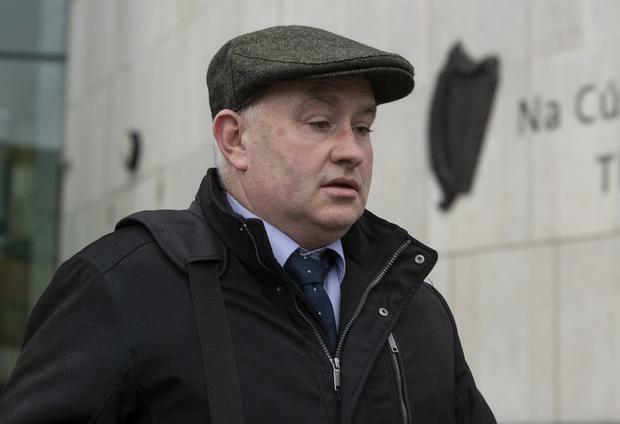 Mary Lowry’s son Tommy Lowry told the trial that he “did not like spending time” with the accused man, Patrick Quirke. It also heard how Mr Quirke knew of the existence of an underground tank at Ms Lowry’s farm in Fawnagowan, Co Tipperary, where Mr Ryan’s body was found. Ms Glasheen told the court that while she had been invited by Mr Ryan to accompany them to Bundoran, she decided not to go because she felt “they were a couple and it wouldn’t be nice to be the only person with a couple”, adding that she might have considered going along if someone else was going too. Ms Glasheen told the murder trial that she had a relationship with Bobby Ryan but was “delighted” when he met Mary Lowry and “could be happy, hopefully”. She said she had a three-month relationship with Mr Ryan starting in January 2008 after she separated from her husband, who subsequently passed away the following year. She described Mr Ryan as “bubbly, kind, liked dancing, happy” and said he would ask her if she would “like to go out for a meal or whatever”. After the relationship ended, they were still friends, she said, adding hey would go for lunch on Sunday “if he was at nothing”. Asked if she was aware of his relationship with Mary Lowry, Ms Glasheen said she was. She agreed she had seen the couple together and thought that this was in the dance hall at the Times hotel. “They seemed to be happy, yes,” she replied in question to how they were together. Under cross-examination by Bernard Condon SC for the Defence, Ms Glasheen agreed she had not had as much contact with Mr Ryan but then met him at the Times hotel and he introduced her to Mary Lowry. He put it to her that she had told gardaí that one night in the Times, she had danced with Mr Ryan. After this, Mary Lowry had passed a comment that she “knew Ms Glasheen was there because she heard her laughing”. Ms Glasheen told the gardaí that she thought it “a bit of a bitchy comment”. “I felt she was cutting at me,” Ms Glasheen agreed she had told the gardaí, explaining she has “a loud laugh that she is aware of” and it gave her a bit of a shock to be approached like that by Mary Lowry, whom she had not noticed before. Ms Glasheen agreed she had been asked by Bobby to go on the trip to Bundoran to see the showband The Indians but she decided not to go. “They were a couple and it wouldn’t be nice to be the only person with a couple – maybe if there was someone else going too,” she said. She agreed that she had texted Mr Ryan at 10pm the night before his disappearance and did not get a reply which was “unusual”. Ms Glasheen agreed that on one occasion she had stayed overnight at Bobby Ryan’s when he got a new house at Boherlahane. She had bought him a mirror to wish him well and he wanted to go for a few drinks, she said, adding that Mary Lowry and Bobby had slept upstairs while she had slept downstairs on the couch, she said.